As foresee by the ancient Andes prophecy, a new Pachacuti–A 500 year period of time/space correction–has begun. The Condor of the South and the Eagle of the North are fated to fly together in a dance of peace and harmony. We are in that time of profound shift of conscious, the return of the feminine energies to our distraught society. I am privileged to share my indigenous teachers Condor Medicine with the sons and daughters of the Eagle. I invite you to join me. 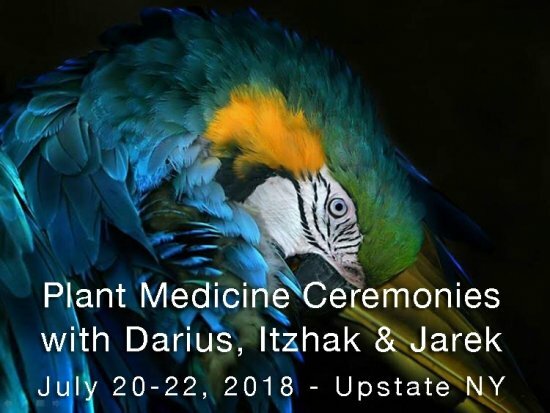 Two nights of transformational Amazonian Plant Medicine ceremonies. Plant Medicine improves physical health; increase spiritual knowledge and aids in conscious transformation. You may resolve old emotional issues and gain clarity on important questions in your life from the plant’s spirit. * Gong Sound Bath by Jarek Luk. When: Fri. 20 - Sat. 21 - closing ceremony, Sun. July 22. Cost: $500 for the entire weekend or $250 per night. Feel free to share this invitation with friends who might benefit from this life-changing experience. 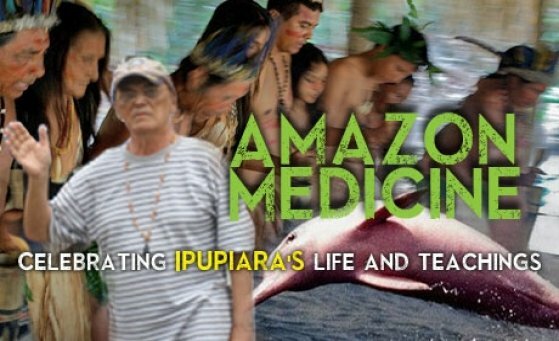 Darius has been working with plant medicine under the guidance of his traditional teachers in Putumayo region of Colombia, in Europe and the US since 2009. Darius was a dedicated musician for many years, and through his study of music and cultures, began to understand the flow of energy and light that can be achieved through sound healing. Under the guidance of his Colombian teacher and initiation of the spirit of indigenous medicine, Darius has combined ancestral teachings of the indigenous cosmology and connection to laws of nature, with Eastern principles of Vipasana meditation, Hinduism and Taoism and his music, to connect modern man and woman to the therapeutical benefits of indigenous medicine. The connection of body, mind and spirit to physical, mental and spiritual aspects of ourselves opens the path to healing, to reconnect to our origins, to find a Oneness. 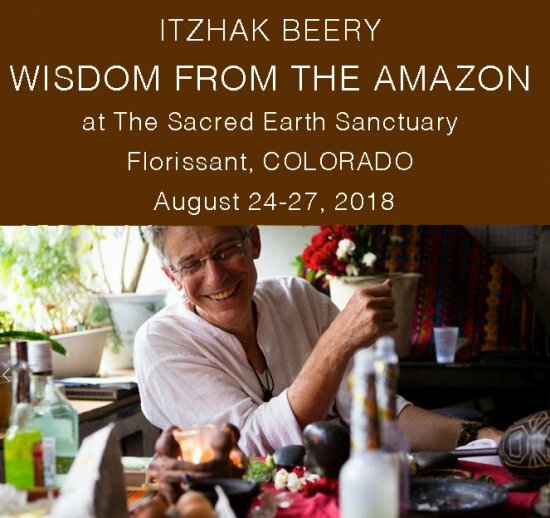 Itzhak Beery is a leading shamanic teacher, healer, speaker, community activist and author of three Amazon bestsellers books. 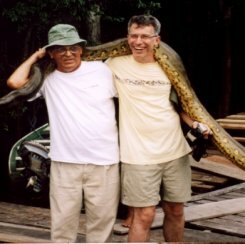 He will lead Shamanic Journeys to meet your spirit guides–Power Animal, Huacas, teachers–to get familiar with shamanic visions symbolism and language and ask for clarity, purpose, and intention before meeting grandmother Ayahuasca spirit. He will lead Integration Circles after each ceremony to lean and resolve the plant medicine teaching and take these lessons into your everyday life. During the Ceremonies, Itzhak will support the participants in their experiences. Jarek Luk is a Sound Practitioner and Therapist providing Sound Bath Therapy and Sound Massage for many years. He is also a Certified Reiki Healer. The vibrations help to reduce stress and remove all blockages in the mind. The gong sound fully harmonizes and restores balance in our body and increases all regenerative processes. Register today to my Special August Workshop and learn Brazilian Amazonian Wisdom & Medicine for daily use. On the sixth anniversary of my beloved teacher, mentor and friend of 12 year, come and celebrate Ipupiara's rich healing legacy. We must make sure his knowledge will not be forgotten and will continue to inspire new generations of healers to come. August 25-26 from 10am to 4pm we will gather to learn ancient wisdom regarding diagnoses and healing methods from the Amazon and the Andes. $350 for the weekend. at The Sacred Earth Sanctuary. Reserve your space today! Palm reading is an ancient art form of interpreting the lines, skin condition, texture, and color of the palm as well as the shape and length of the fingers. Across the world, different systems of palm reading have been developed. This is one of the most important diagnostic and counseling techniques shamans of the Andes are using to help their clients navigate emotional difficulties and life's decision making. 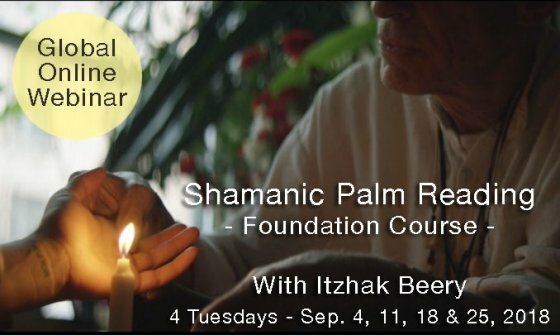 In this online foundation course, Itzhak Beery, who read palms for thousands around the world in the last 21 years, will share the basic knowledge required to you to find your life purpose and to understand your key characteristics. Discover ancient techniques shamans the world over shift their consciousness and enter into the unseen realm of dreams and visions that hold the key to balance, health, and thriving in today’s world. Learn how to connect and communicate with nature spirits. Explore the meaning and healing aspects of your power animal spirit. Use creative ways to express them, drawing, writing and storytelling.